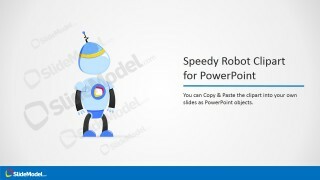 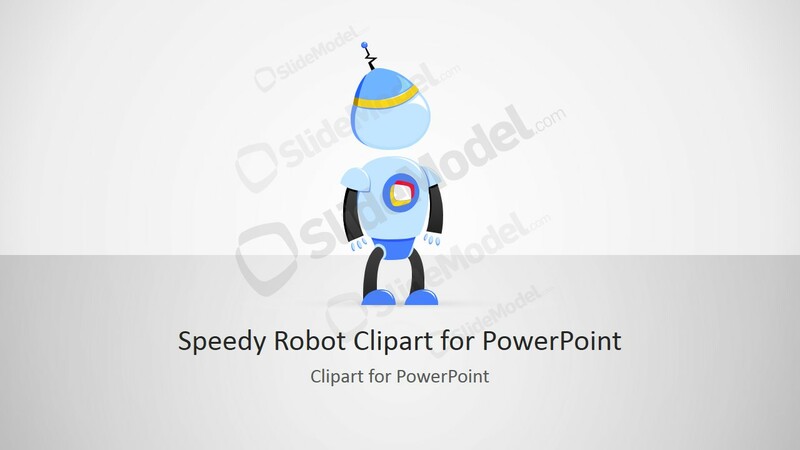 Speedy Robot Cartoon Illustration for PowerPoint is a creative clipart design for presentations containing a funny robot illustration that we named Speedy. 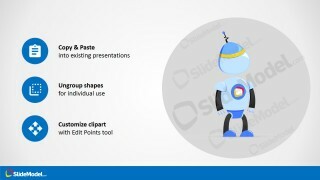 Speedy cartoon character can be used to decorate presentations on technology or make creative slide designs to present your ideas and topics in PowerPoint. 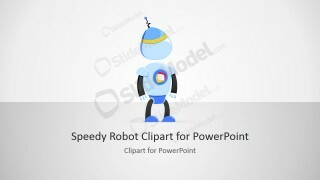 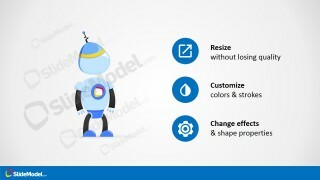 This robot illustration can easily be edited in PowerPoint as it was created with PowerPoint shapes.